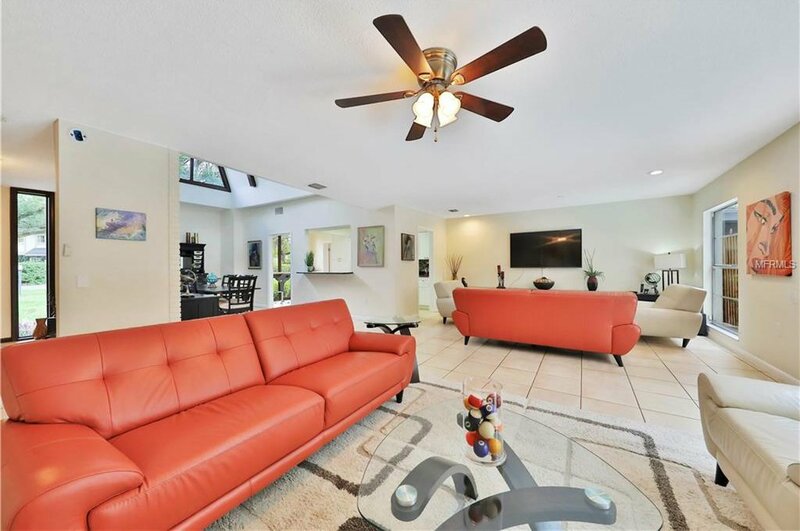 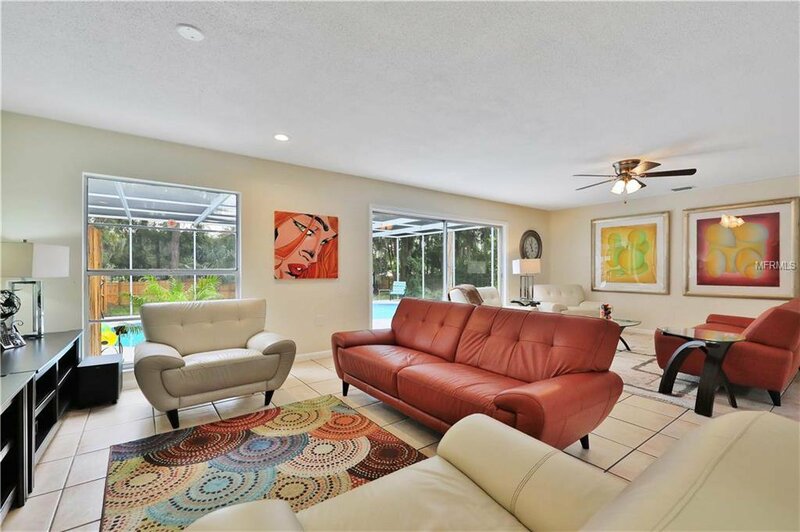 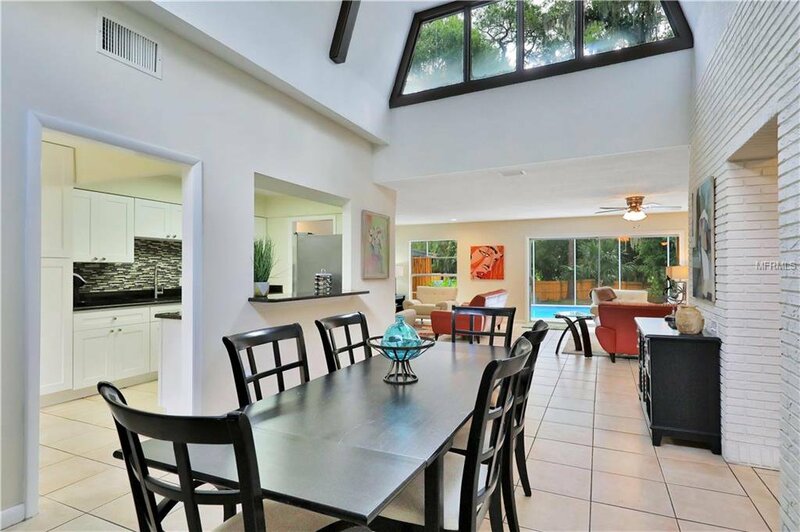 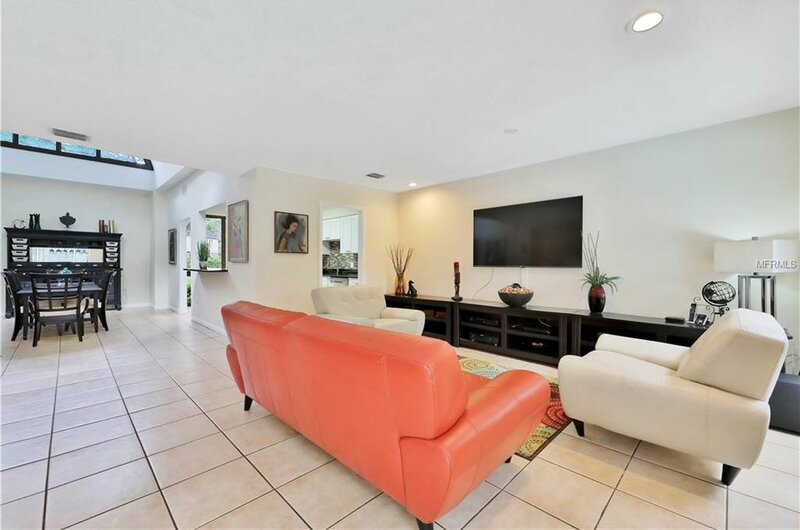 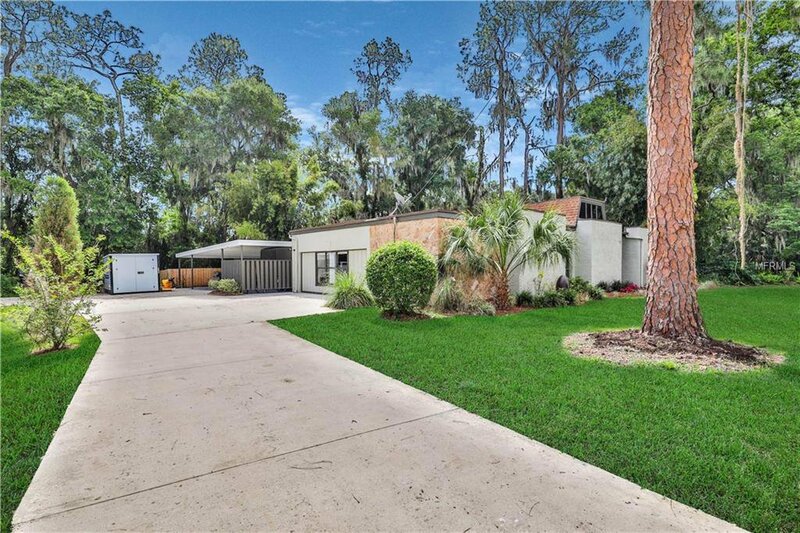 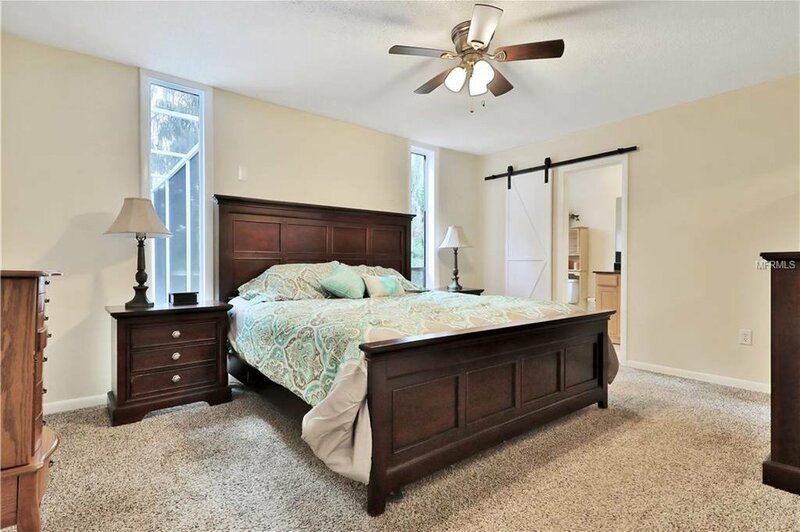 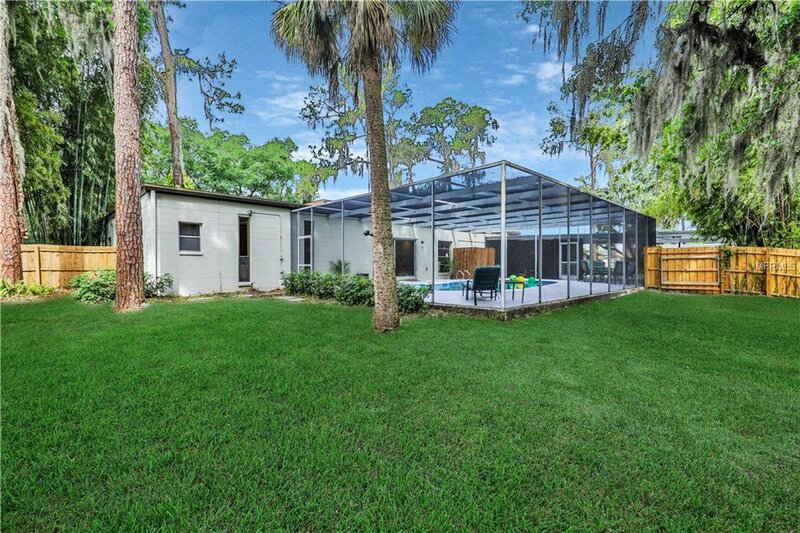 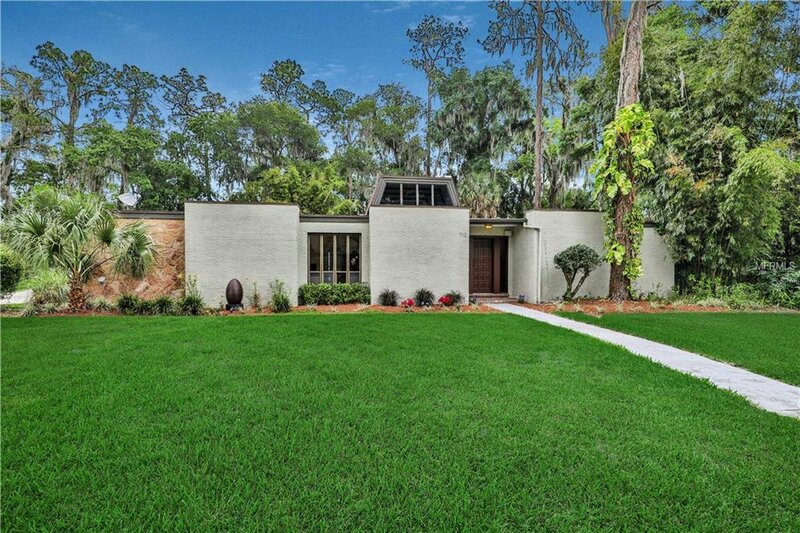 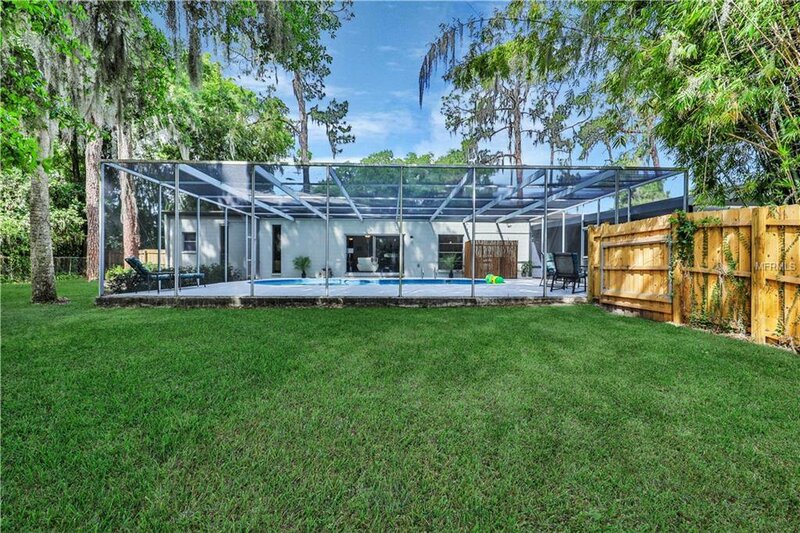 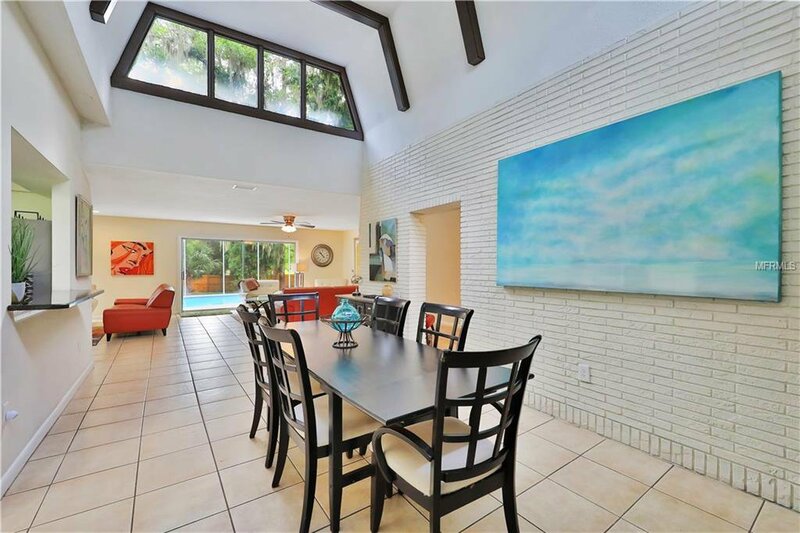 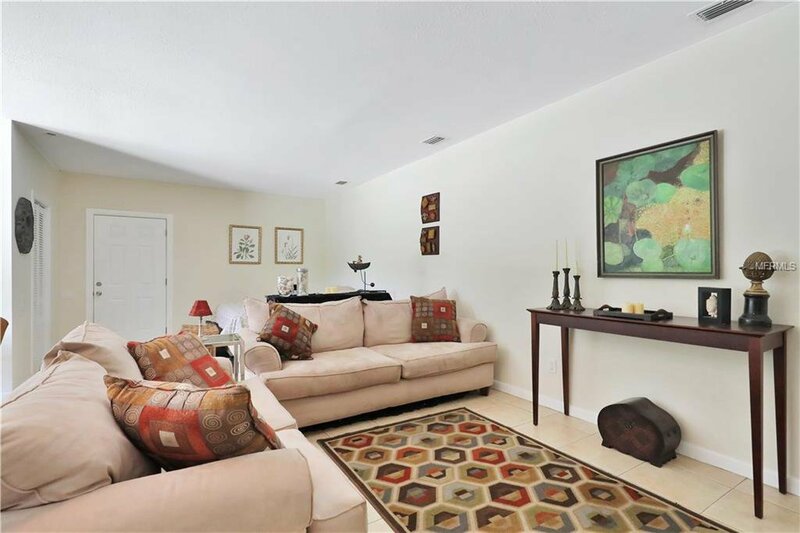 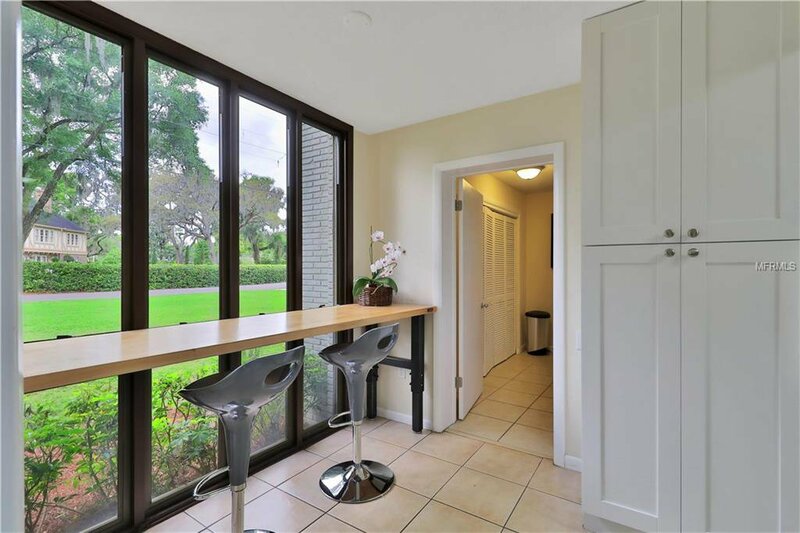 Contemporary coolness in Plant City’s Pinedale neighborhood!! 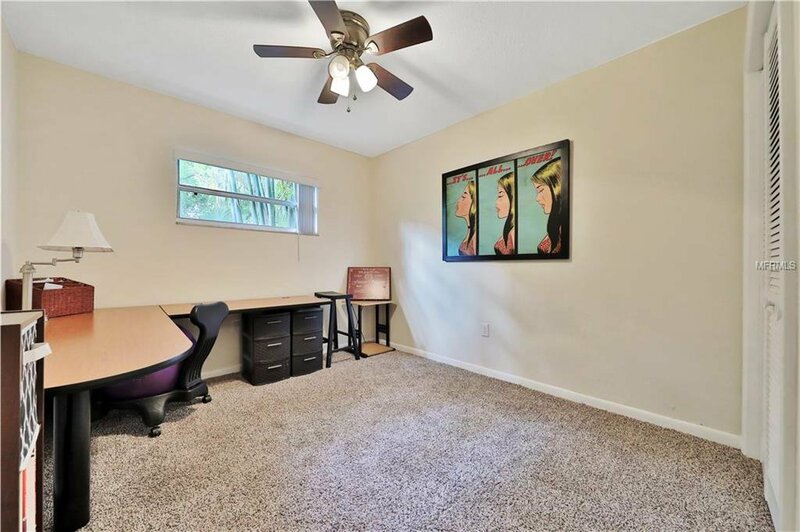 Want to be a little different? 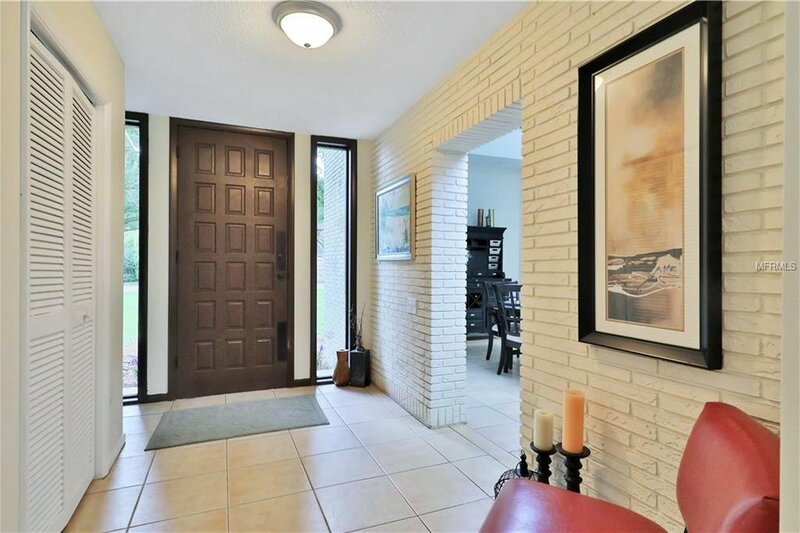 Not see your home across the street, down the road and every time you turn the corner? 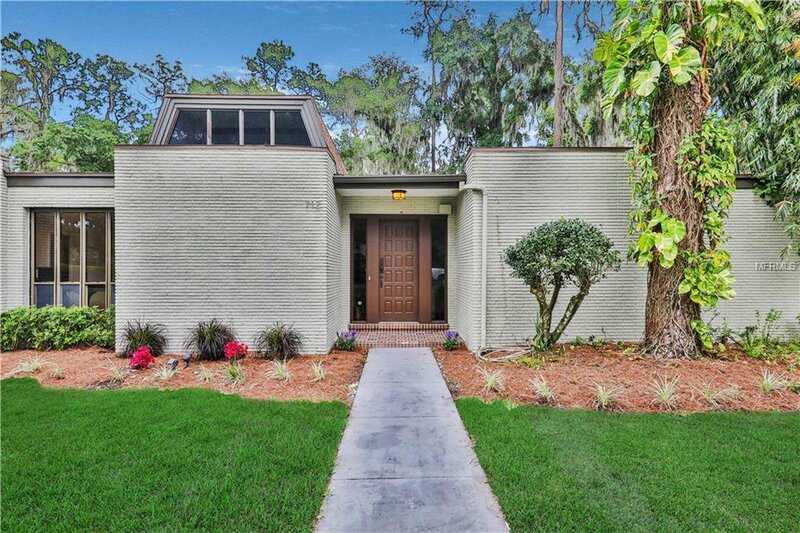 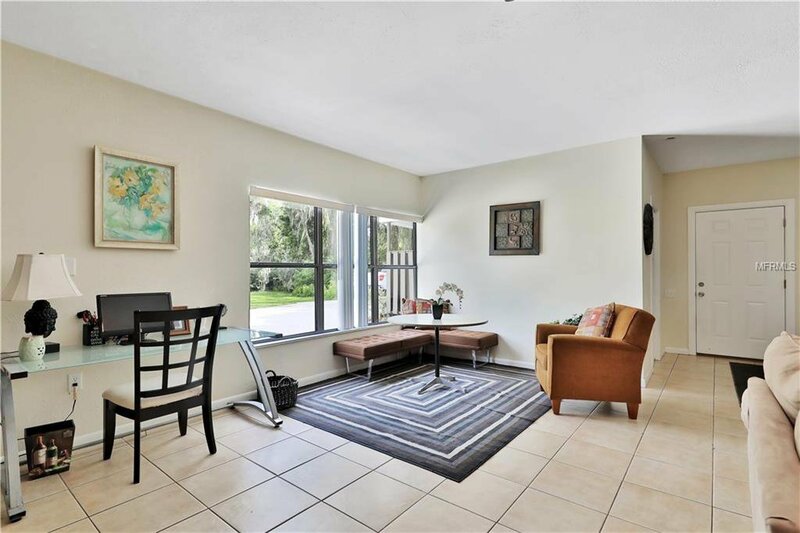 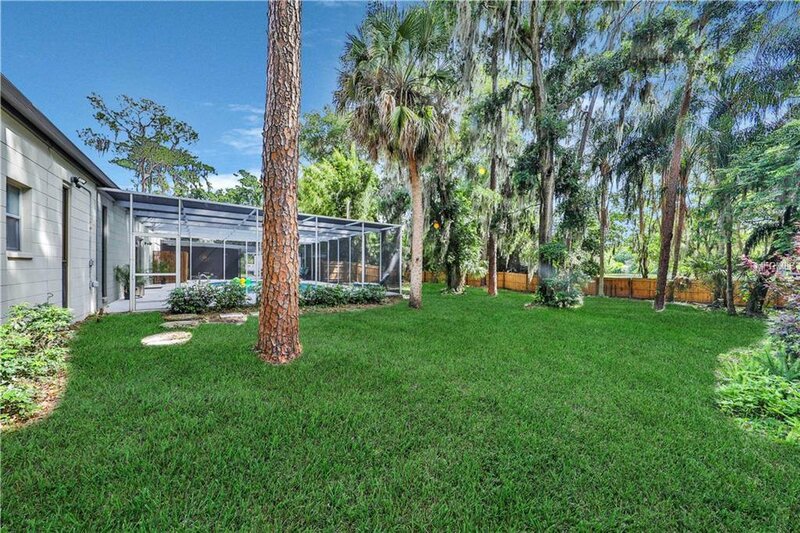 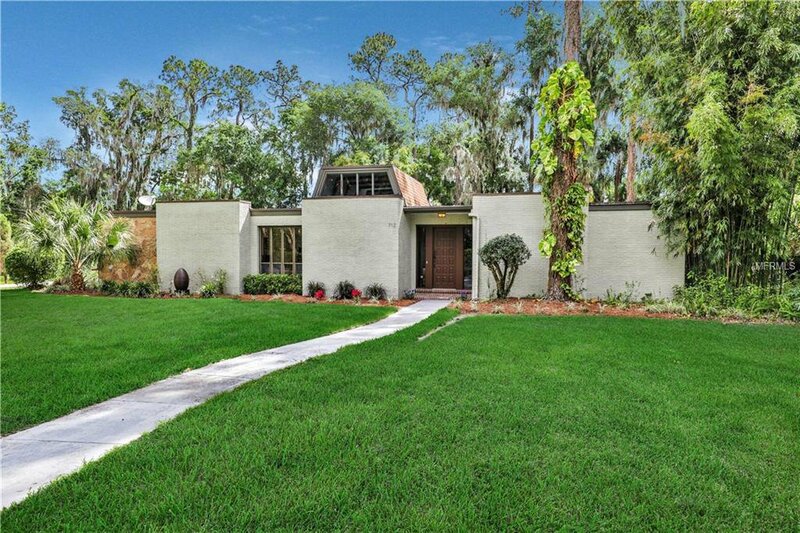 Architecturally unique, this mid-century home features 3 BR, 2BA + a guest suite with its own entrance! 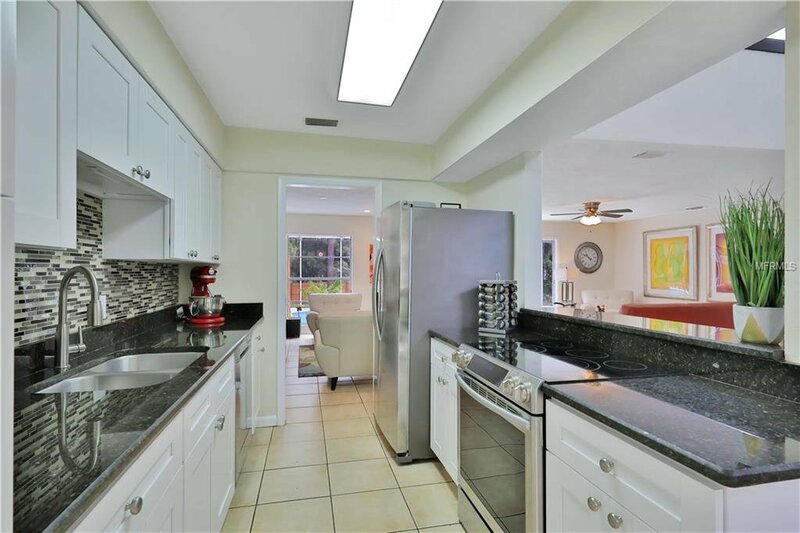 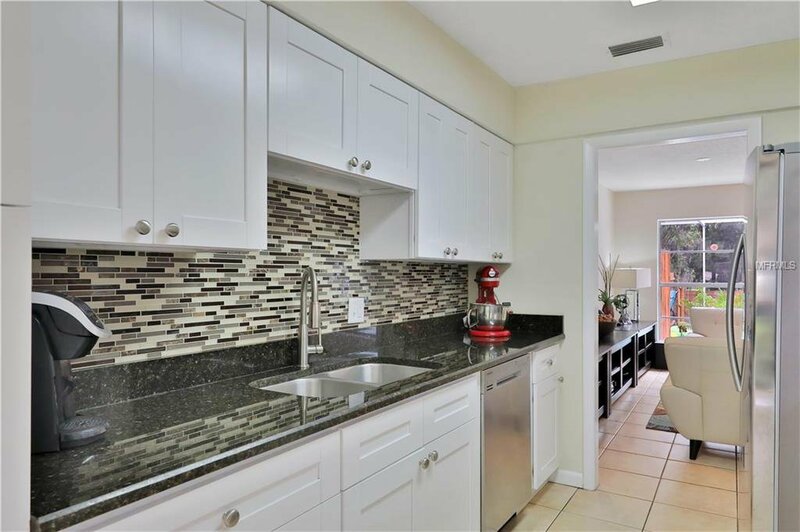 Kitchen updates include granite counters, white Shaker-style cabinets and stainless appliances. 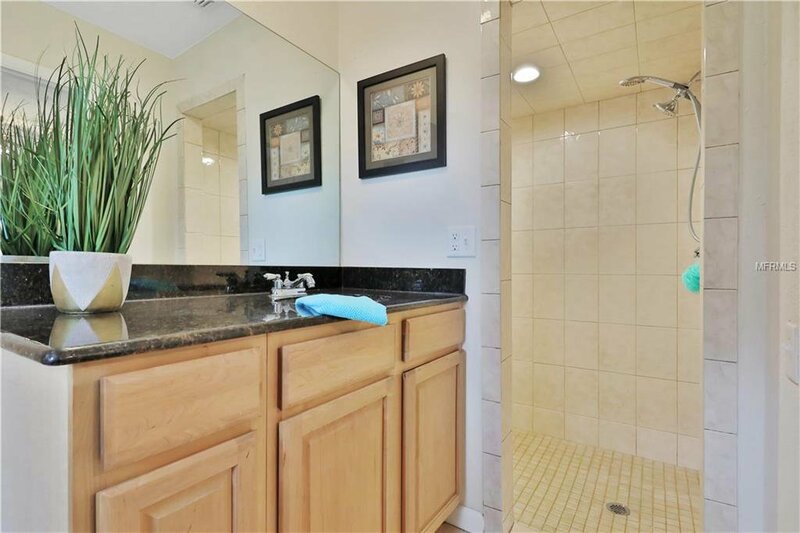 All of the bathrooms are updated, too! 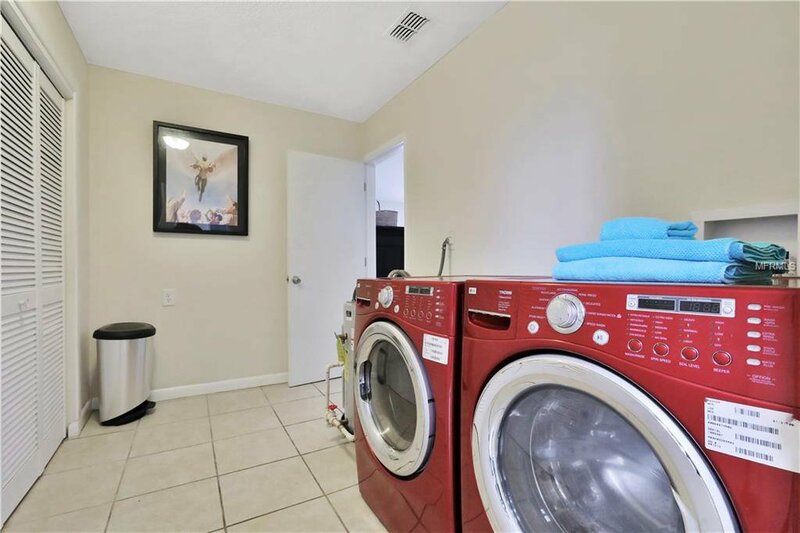 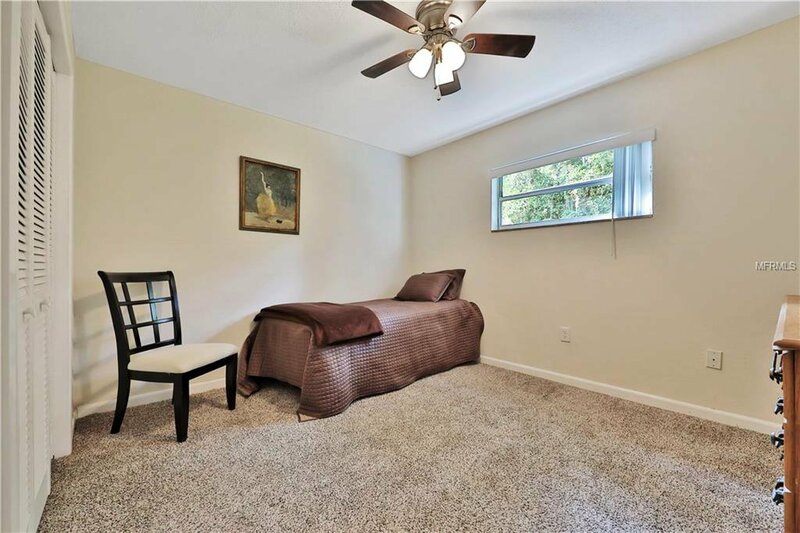 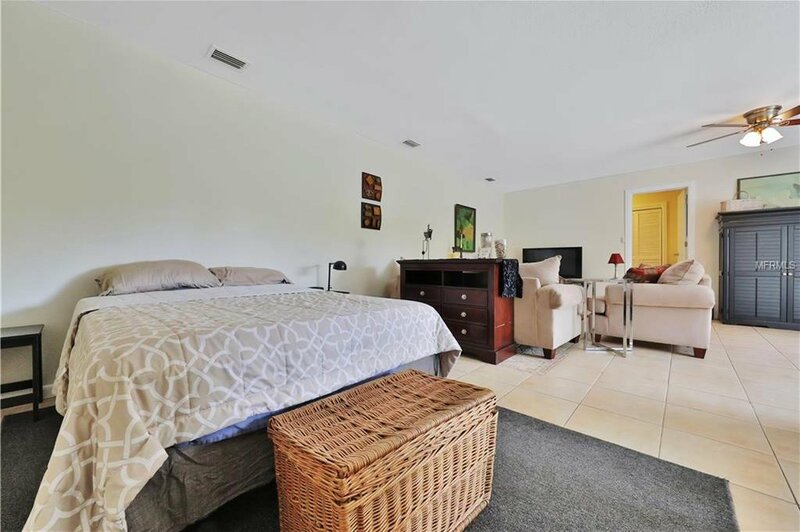 The spacious laundry room has a large closet and the guest suite has impressive storage with 2 large closets! 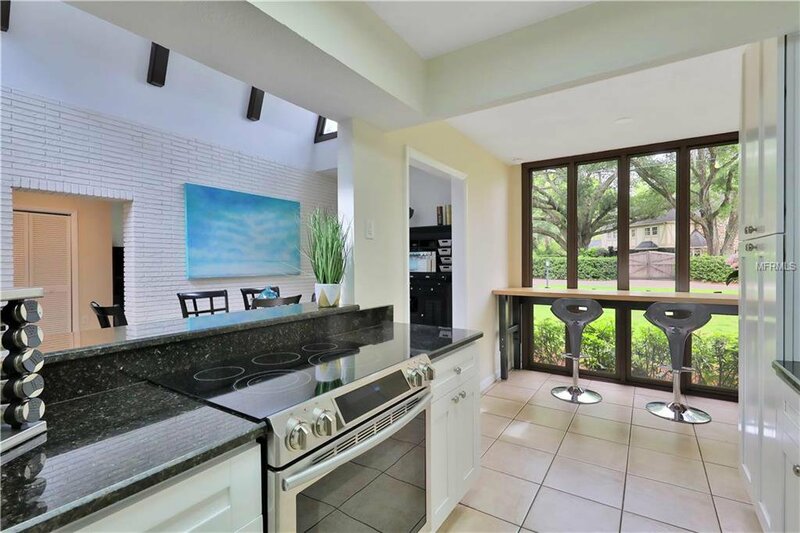 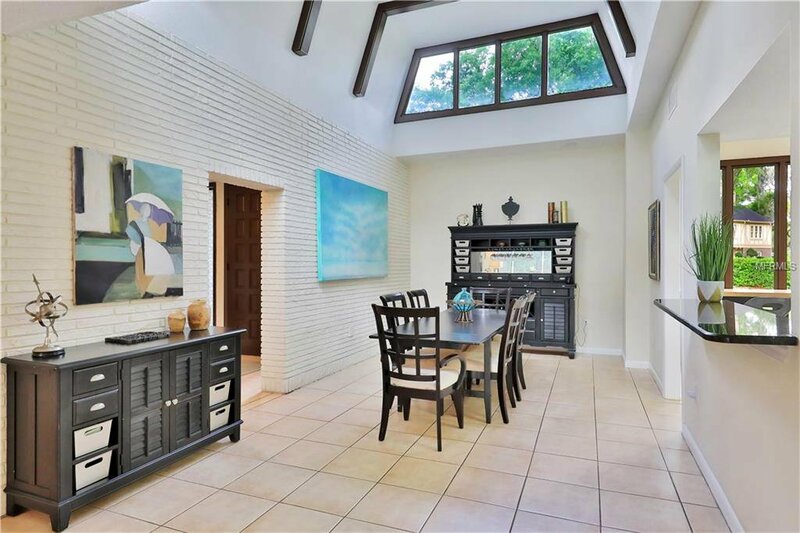 You’ll love all of the natural light from the raised dining room roof with its clerestory windows and the floor-to-ceiling windows in the kitchen and living areas. 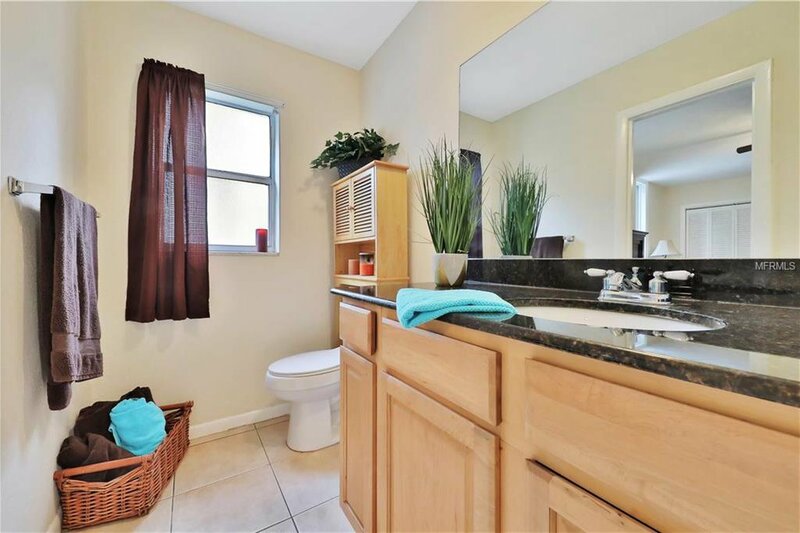 Enjoy the soothing views of greenery and water! 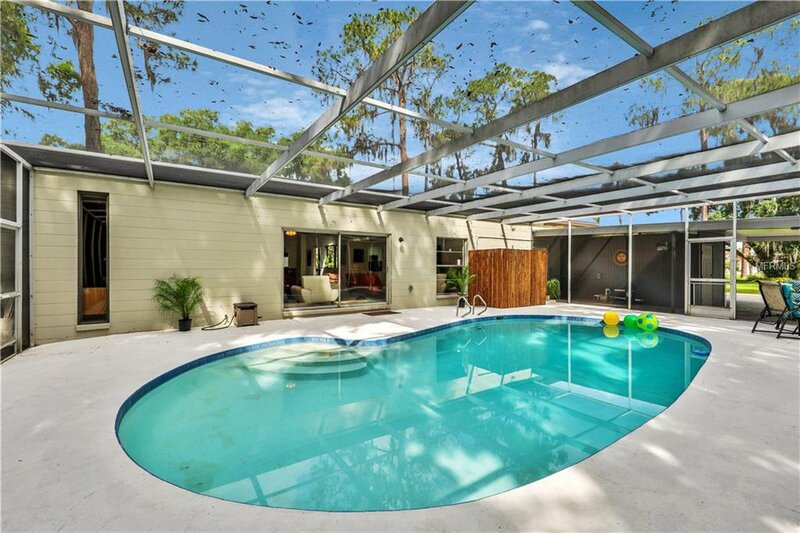 Sliding glass doors in the living area open onto a large, screened lanai with a sparkling, free-form pool. 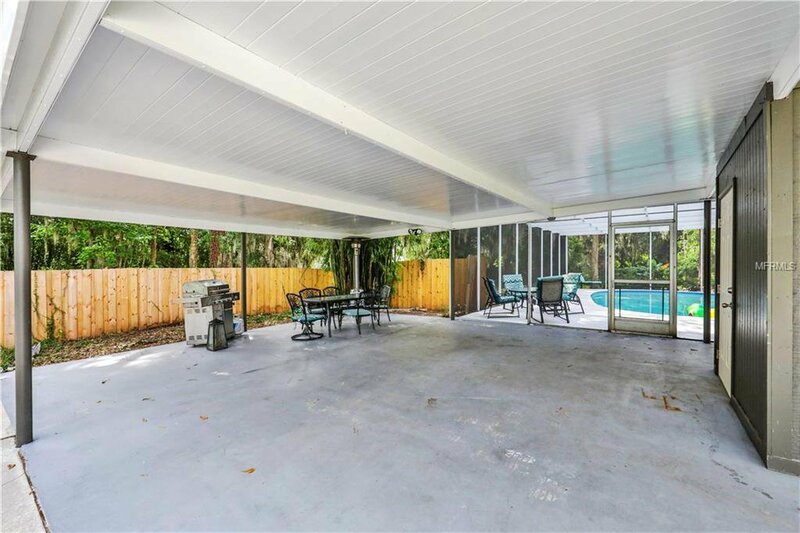 Your pets can let themselves out into the fully-enclosed, wooded backyard and stay safe within the solid wood privacy-fenced area. 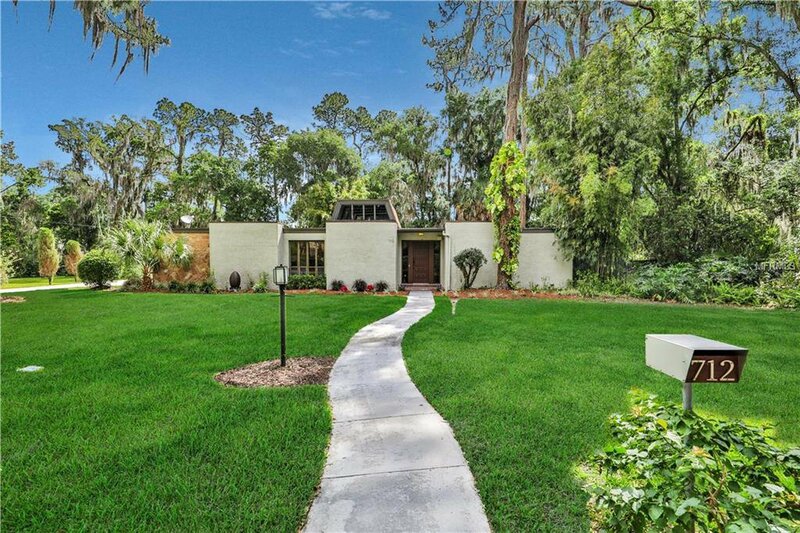 Not only are all of the homes in this neighborhood unique, they have expansive lots – this one is over half an acre! 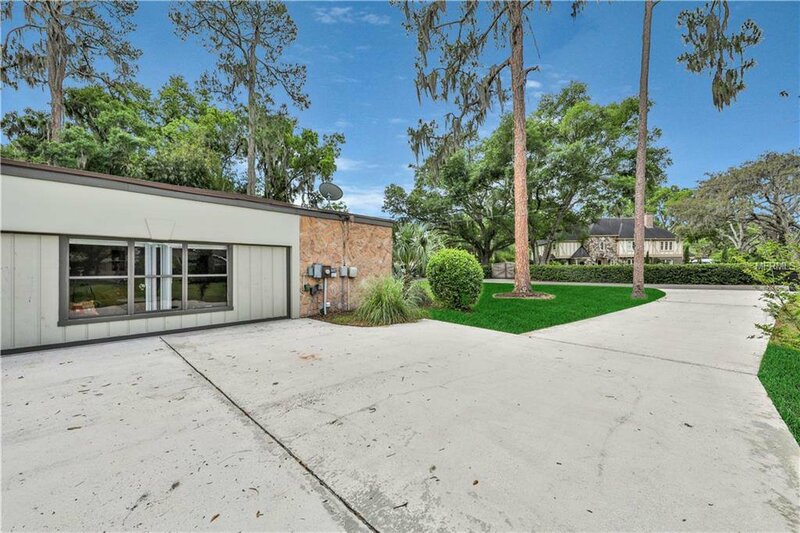 The large carport will safely house 2 vehicles, plus there is a locked storage room and an open storage area. 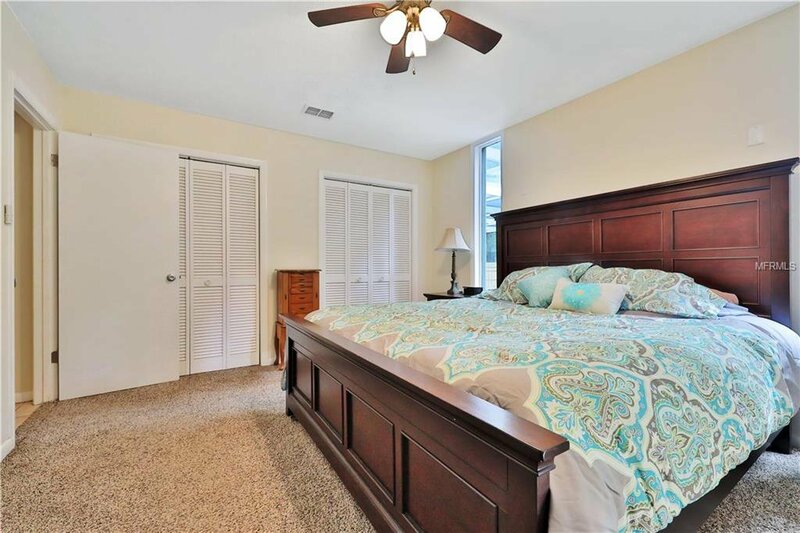 Let us give you a personal tour so you can picture your new life here! 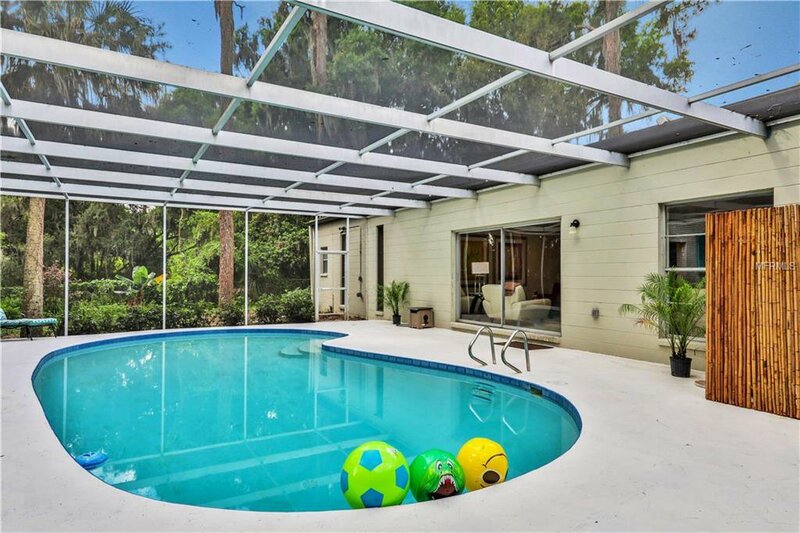 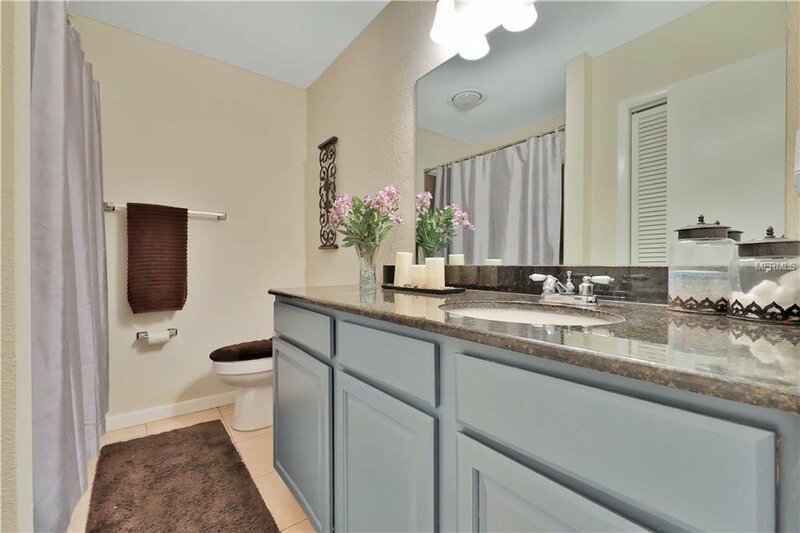 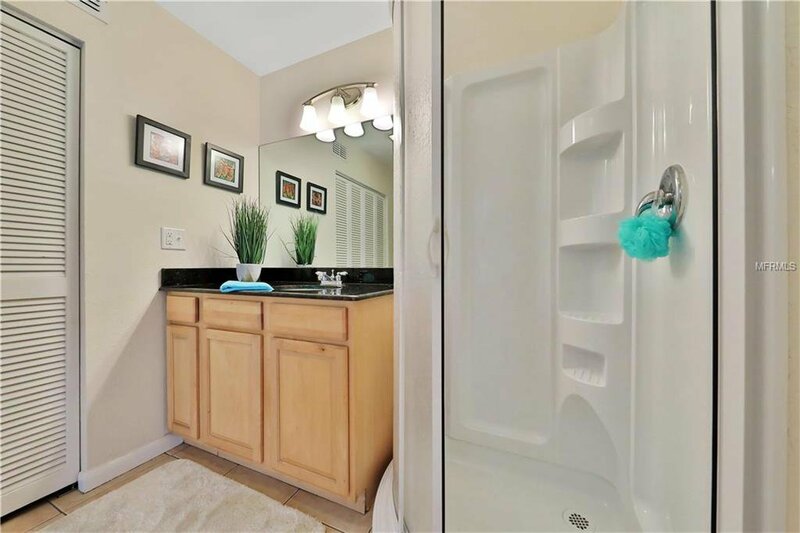 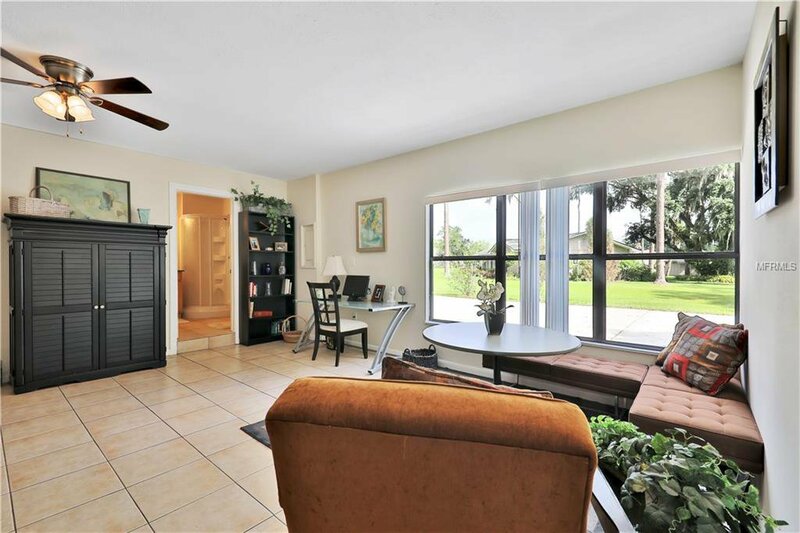 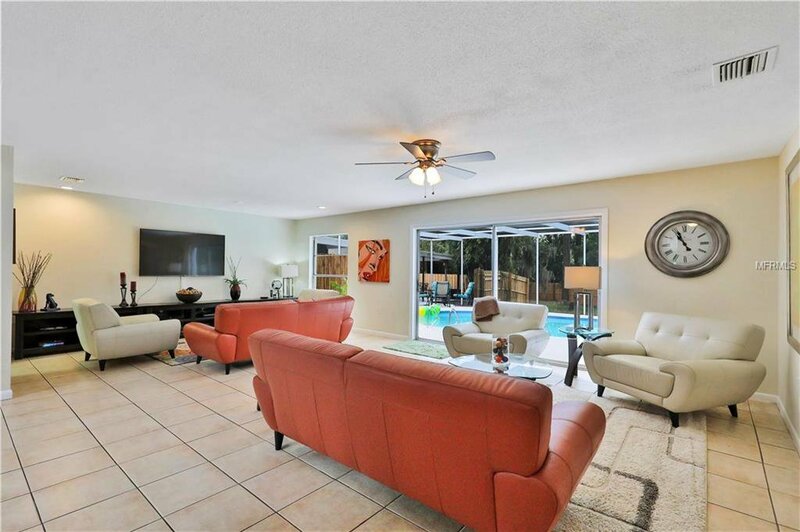 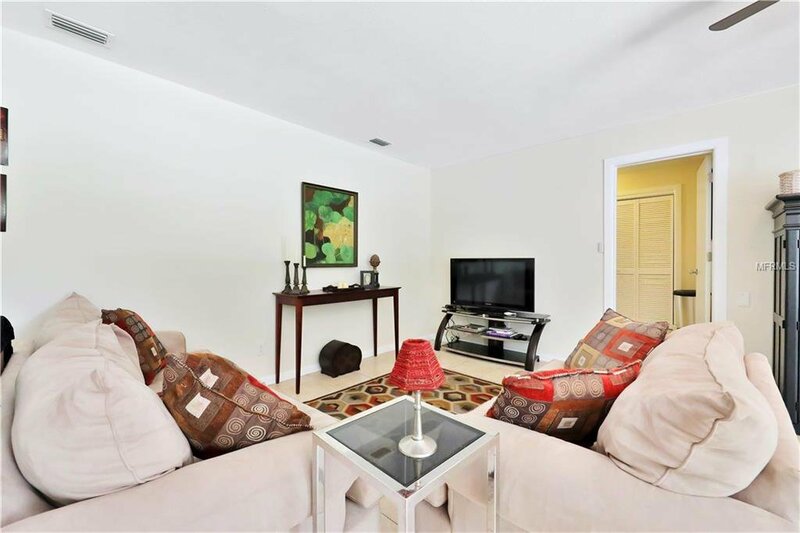 PET FRIENDLY FEATURES: Tile in the main living and wet areas; doggy door in the pool screen; privacy-fenced backyard.